How does a 54-year-old former basketball player remain the epitome of cool in today's NBA? Chris Paul, Nas, DJ Khaled and more reflect on Michael Jordan's influence around the league in 2018. It's been 15 years since his last NBA game, yet Michael Jordan still carries an unmatched mystique in the eyes of players and fans. Simply put, MJ is the epitome of cool. A generational trendsetter whose influence on sneaker culture, basketball and modern day advertising stretches well beyond the NBA. If you want to take a look at how far Jordan’s influence stretches to today's NBA, use Jazz rookie Donovan Mitchell as an example. Mitchell, who played baseball in addition to basketball growing up, wears Jordan’s secondary number 45 to honor MJ’s other career. And Mitchell wasn't a Birmingham Barons fan, either. In fact, he was born in 1996—after Jordan's return to basketball. White, who has worked with some of the biggest names in sports, including MJ, Penny Hardaway, Deion Sanders, Ken Griffey Jr. and Charles Barkley, played a huge part in transforming Jordan from a basketball player to a global icon. Back in the early days of Jordan’s career, White and Nike reps had Jordan travel to Paris, London, and Japan to play in exhibition games to increase his exposure and piggy-back off his Dream Team fame. The innovative move helped Jordan become popular with international fans who wouldn’t have been able to see him any other way. 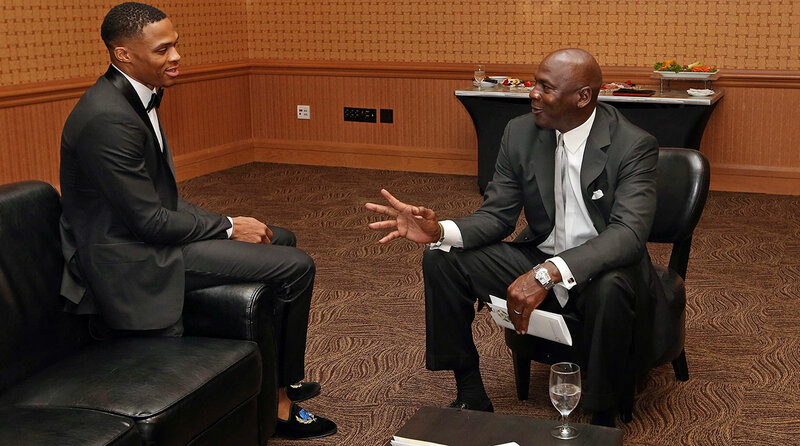 His legendary overseas trips have now become a standard for sneaker brands, who send their athletes to places like China and Japan where eager basketball markets await—much thanks to MJ. Much like soccer, individual NBA players now enjoy the international spotlight thanks to predecessors paving the way. For every Ronaldo, Messi or Neymar—there is now a LeBron James, Stephen Curry and Kevin Durant. We are not only intrigued about what these players do on the court, but we follow their every move on social media. We hear what they have to say about politics. We know their brands. And of course, we always know what sneakers they are wearing. You won't find that same type of treatment in other sports. Then again, not every sport had a Michael Jordan. 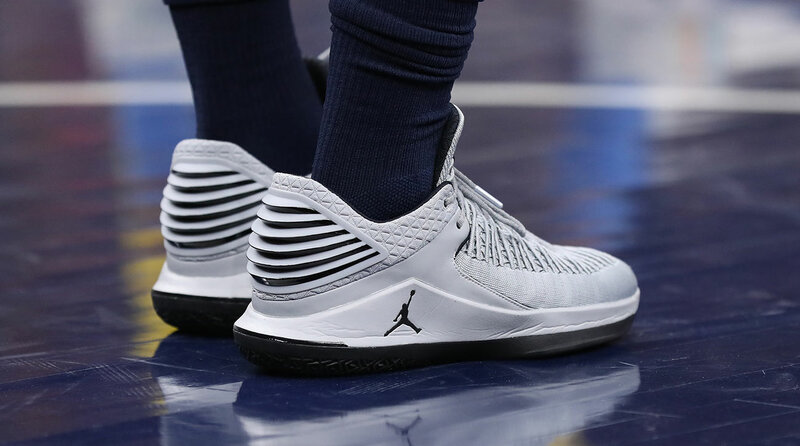 The obvious connection between Jordan and the NBA's younger generation is his Jordan Brand sneaker line, which is as popular as ever around the league. 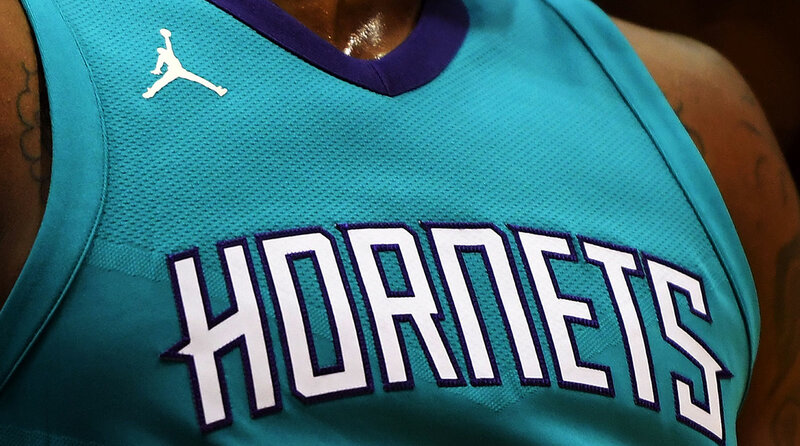 Whether the Jumpman logo is seen on players' feet, clothing or on the uniforms of MJ's Charlotte Hornets, the iconic symbol still goes hand-in-hand with the game of basketball. Paul counts Jordan’s sneaker line as one of the reasons why his legacy and brand still resonates with players who never saw him play. The way Nike and Jordan mastered the sneaker business was through their storytelling. So many of his shoes are iconic because they have significant moments or games they are tied to—from the the Flu Game to the Banned Jordan 1’s. In addition, the Jordan Brand still competes with sneaker titans like LeBron, KD and Kobe, who have signature lines that have all surpassed the double-digit mark. Not only is each signature Jordan shoe coveted, with the help of stars like Paul, Russell Westbrook and Kawhi Leonard, but their retro kicks are still some of the most anticipated shoe releases each year. With that type of diversity, the Jordan business model doesn't appear to be slowing down anytime soon. It doesn't matter how much Jordan oversaturates the market with retro releases and re-releases—there's always going to be a horde of consumers lining up to purchase Jordans in bunches. Another reason why Jordan’s influence can still be felt around the NBA is his ability to transcend from player to a pop–culture figure. Seeing Will Smith in a pair of J’s in episodes of the Fresh Prince of Bel-Air or having hip-hop stars like Nas, Drake and DJ Khaled wear his kicks have certainly helped reach a new audience. Jordan may hold the athlete record for most name-checks in rap songs. Most of ithe references come from becoming synonymous with the word "greatness." Jordan’s became a status symbol early on in the 90’s. It's one of the reasons why Jay-Z rapped “Gold Bottles, Scold models, spillin’ Ace on my sick J’s” on his Watch the Throne album—a luxury rap that boasts about wealth and a wild night in Paris. DJ Khaled who has become one of the Jordan’s most prominent endorsers off the court (and biggest collectors) never hides his fandom on social media. You can judge Space Jam how you want as a movie, but there is no denying the film's impact on athletes off the court. Jordan and his deal with Warner Bros. paved the way for guys like LeBron and Kobe who have both dipped their feet into Hollywood through acting and producing. Space Jam, which came after Jordan’s first retirement, opened the eyes of 90’s babies who never had the opportunity to watch him play prior to retiring. Seeing MJ lace it up with the Looney Tunes was an easy way to leave an imprint on a new generation that currently makes up the NBA. To look into the future for Jordan’s brand you have to look back at the past. Inside Tinker Hatfield’s Air Jordan manifesto rests five pair of words that would eventually make up the brand's DNA: Educated and Animated, Sporty and Tasteful, Class and Style, Fun and Flash and Successful and Urban. The brand has more than lived up to all of those words. And in the year 2018, Jordan still remains one of the most influential athletes in the world. Somehow, a 54-year-old former basketball player is still the epitome of cool.